In this paper, we present Microsearch, a search system suitable for small devices used in ubiquitous computing environments. Akin to a desktop search engine, Microsearch indexes the information inside a small device, and accurately resolves user queries. Given the very limited hardware resources, conventional search engine designs and algorithms cannot be used. 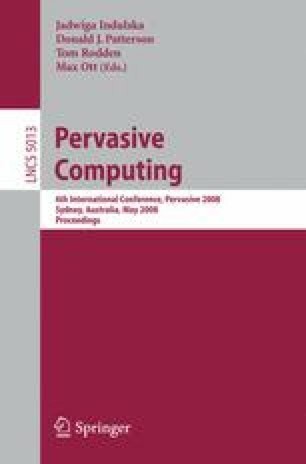 We adopt information retrieval techniques for query resolution, and propose a space efficient algorithm to perform top-k query on limited hardware resources. Finally, we present a theoretical model of Microsearch to better understand the tradeoffs in system design parameters. By implementing Microsearch on actual hardware for evaluation, we demonstrate the feasibility of scaling down information retrieval systems onto very small devices.